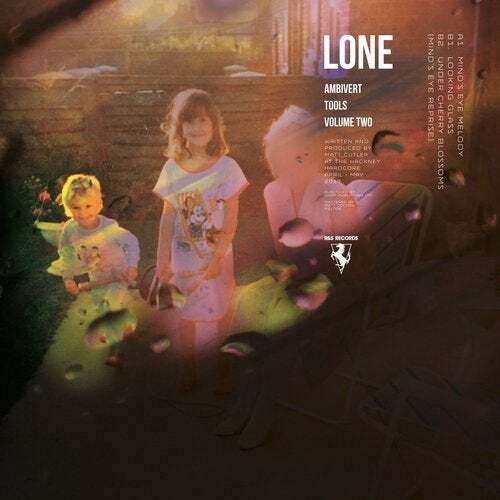 Hot on the heels of May's Ambivert Tools Volume One Lone AKA Matt Cutler delivers the second instalment of breezy atmospheric house, stacked with 'floor ready trax, inspired by his red hot Magic Wire imprint. First up is the tropical percussion and telescoping arpeggios of 'A Mind's Eye Melody', displaying Cutler's talent for a nagging melody it comes on like Tangerine Dream remixed by 808 State - pulsating drums, hymnal chords and gooey sub bass. 'Looking Glass' calls to mind a Mood II Swing dub - truncated stabs and jacking rhythms overlaid with shimmering resampled piano chords that give way to a slashing FM riff that contrasts sweetly. In the B2 slot Cutler unfurls a hushed, 6 minute balearic reprise of the 'A Mind's Eye Melody', heartstopping Emulator II chords and harp glissandi wash over a wistful flute figure pedal to sweetly memorable effect. 'Ambivert Tools' finds Cutler a true master, at the top of his game - taking all he's learned over his many years of beat exploration and condensing it down into rugged house stacked full of nagging melody / harmony that feels fresh and vital to 21st dance floors.